Over this past summer, Phil wrote a post about history on TV, and in honor of the return of Downton Abbey tonight, let’s continue this conversation with a focus on this period drama. Taking place in the early 1900s, Downton Abbey focuses on the Crawley family and their household staff, whose lives are continually intersecting with mainline British history of the time: the sinking of the Titanic, World War I, and the Spanish Influenza, to name a few. This show, though portraying other dramas, such as family troubles, money problems, and love triangles, still holds true to the history of the time and does a great job of portraying the life of those affected by these horrific events. In the show’s pilot, the family receives the news that their relatives aboard the Titanic are now dead, and they struggle with this loss. As the show progresses, historical events of the day continue to intersect the everyday lives of these characters. The next major event is World War I. 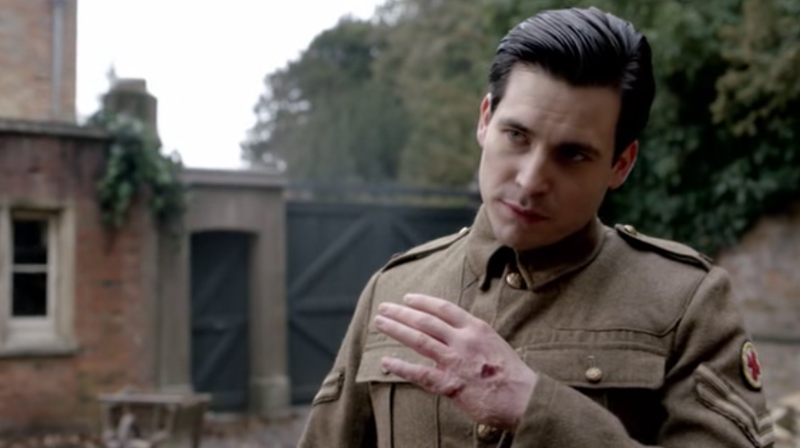 The show’s depiction of World War I is painful and at times, hard to watch, but an accurate depiction of both soldier and civilian life during this war. At the start of the war, members of the house are searching for a way to help. Initially, several men and one woman leave the Abbey to become soldiers and a nurse, respectively. Even those who stay at the house turn it into a hospital for soldiers who have been injured in the war. 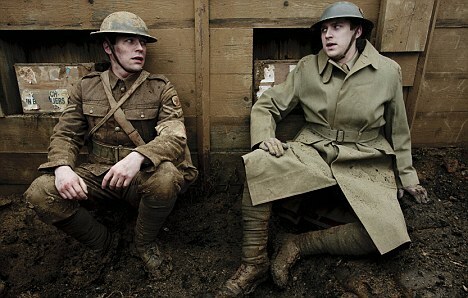 The show follows those characters who entered the battlefront, and it depicts life in the trenches. While in the trenches, soldiers from the Abbey meet and fight together, although they continue to be placed in their previous societal roles. The upper class soldier, Matthew, remains upper class while those in the working class, Thomas and William, are fighting underneath the commands of Matthew, showing that class structure remained even in the midst of war. 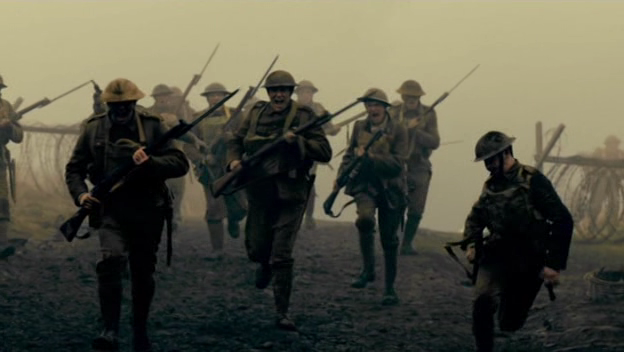 The brutality of the war is evident throughout the show, culminating in one of the show’s characters intentionally getting his hand shot by the Germans in order to escape the trenches and return to the Abbey. On the home front, civilians at the Abbey have successfully converted a large part of the house into a hospital for injured soldiers returning from the war. 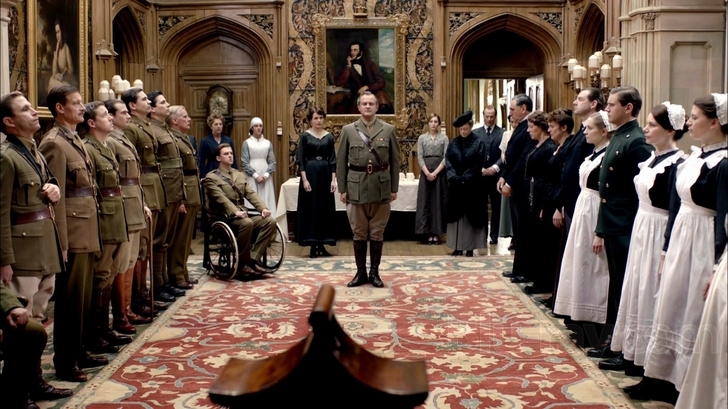 One of the daughters of Lord Grantham, the owner of Downton Abbey, becomes a nurse and takes over the care of the soldiers who come to the Abbey for care. The remaining two characters fighting in the war go missing, only to turn up at the Abbey’s hospital, where one of them dies and the other is paralyzed. At the end of the war, the house gathers together for a moment of silence to remember the lives of those lost which is followed by a celebration of the end of the war. Following the end of the war, the show dealt with the outbreak of Spanish Influenza that struck the nation. Several members of the house are struck with the illness and although only one dies, the disease shakes household life, once again displaying how British citizens were affected by the historical events occurring at this time. It is encouraging to find a show that is incredibly popular and simultaneously does a great job of portraying history from several perspectives. I only hope that this trend continues.